Get a Free: My Happy Book. 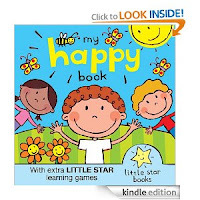 A Little Star book with extra learning games [Kindle Edition]. All you have to do is download it to your Kinde device and read it.